Dr. Marie-Paule Kieny is currently Director of Research at Inserm (Institut national de la santé et de la recherche médicale) in Paris, where she assists the President on International Institutional Collaborations. Until June 2017, Dr Kieny served as the Assistant Director-General for Health Systems and Innovation at the World Health Organization. Dr. Kieny also directed the WHO Initiative for Vaccine Research from 2001 to 2010. Key successes under her leadership roles at WHO include the development and licensing of new vaccines against bacterial meningitis, addressing global supply of pandemic influenza vaccine especially in developing countries through technology transfer and manufacturing, and vaccines against poverty-related diseases. Such initiatives are continuing priorities of Dr. Kieny. 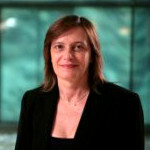 Before joining WHO, Dr. Kieny held top research positions in the public and private sectors in France which included Assistant Scientific Director of Transgene S.A. from 1981 to 1988 and Director of Research and Head of the Hepatitis C Virus Molecular Virology Group at the Institute of Virology, (INSERM) from 1999 to 2000. Dr. Kieny received her PhD in Microbiology from the University of Montpelier (1980), where she was also awarded a University Diploma in Economics, and her Diplôme d’Habilitation à Diriger des Recherches from the University of Strasbourg in 1995. She has published over 350 articles and reviews, mainly in the areas of infectious diseases, immunology, vaccinology, and health systems.